2 hp, 1,160 RPM motor has a focus on light residential surface preparation applications. 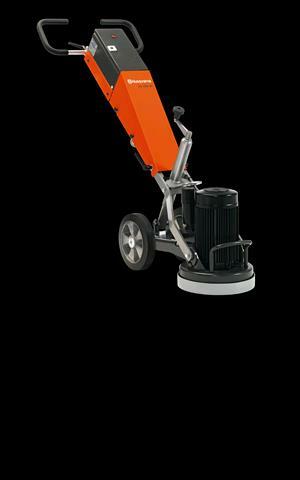 11" grinding width make it excellent for patch grinding or floor repair to smaller areas. The machine can be collapsed to fit easily into most vehicles making it ideal for rental and DIY customers. With adjustment in both the handle bars machine frame, the machine is very comfortable for the operator. Vibration suppression incorporated into handle bars. Simple electronics (with overload protection) make it easy even for the most inexperienced user. * Please call us with any questions you may have about our grinder concrete electric husqvarna in Kingsport TN, Johnson City, Elizabethton, Rogersville TN, Gate City VA and the NE Tennessee, SE Kentucky and SW Virginia Tri-State Area.